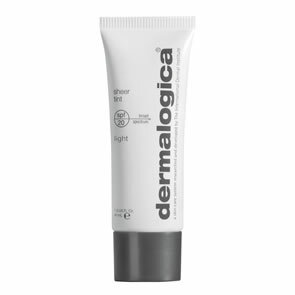 Dermalogica Sheer Tint SPF20 Light (New Formulation September 2015!) 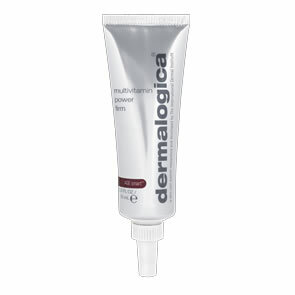 is a lightly-tinted hydrating treatment provides an all-day sheer wash of colour. Natural, light-diffusing Iron Oxides provide translucent colour for radiant skin, while Broad Spectrum sunscreens shield against damaging UV rays. Hydrolyzed Pearl amino acids, hydrating cross-linked Hyaluronic Acid and antioxidant Walnut Seed extracts help improve skin texture and reduce the appearance of fine dehydration lines. Formulated without artificial fragrances and colours. Delivers sheer, lightweight coverage for a natural finish, making it ideal for those who desire a make-up free look. Contains Iron Oxides, which are natural earth minerals providing skin tone-matched shades in Light, Medium and Dark to satisfy the cosmetic needs of all. Contains powerful ingredients to combat dehydration and the signs of skin aging, simultaneously improving wearability, as well as the appearance of skin. Broad Spectrum UVA and UVB sunscreens shield against UV damage without the intense chalky, whitening and drying effects so commonly associated with physical sunscreens. Hydrolyzed Pearl (Pearl Powder): A fine powder rich in amino acids, Calcium, sugars and peptides; helps enhance skin luminosity, hydrate skin and simulate cell renewal. Zinc Oxide and Octinoxate: A blend of physical and chemical sunscreens that protect against UVA and UVB damage. Provides Broad Spectrum protection. Olea Europaea (Olive) Fruit Extract: Rich in antioxidant polyphenols that scavenge free radicals and Lactic Acid that provides hydration and gentle exfoliation. Juglans Regia (Walnut) Seed Extract: A rich source of Phytic Acid, polyphenols, proteins, minerals and salts that protect tissues against oxidative stress, and promote skin cell renewal and fibroblast growth to defend against cellular aging. Sodium Hyaluronate Crosspolymer: An aqueous gel of cross-linked Hyaluronic Acid, which forms a film on the skin and continuously delivers hydration and prevents transepidermal water loss. As a potent antioxidant, it also scavenges Reactive Oxygen Species (free radicals). Serine, Lactic Acid, Urea, Glycerin, Allantoin and Sorbitol Humectants that hydrate skin. 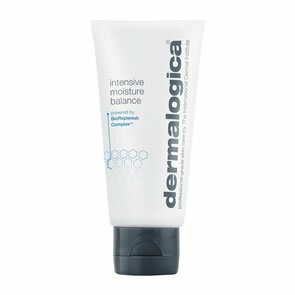 Apply Dermalogica Sheer Tint SPF 20 Light after cleansing, toning and moisturising. Smooth over face and throat.